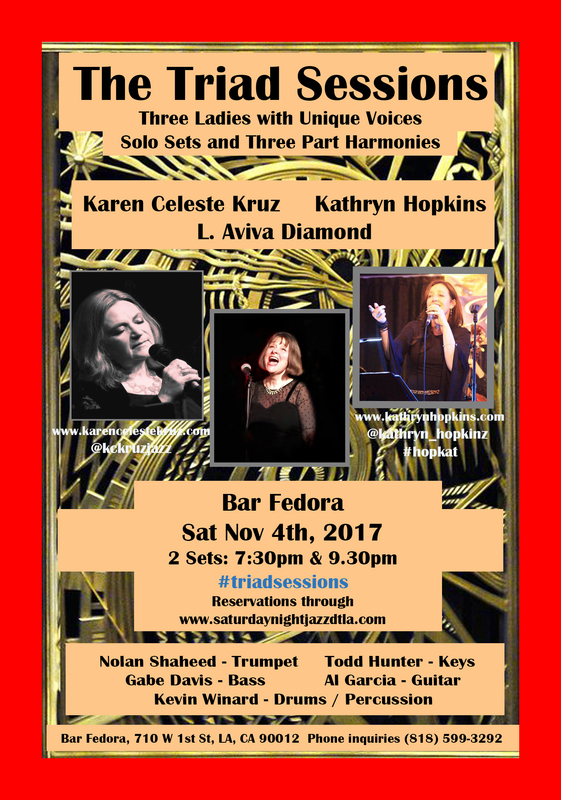 In the spirit of collaboration, myself and two other songbirds joined together to showcase another of The Triad Sessions, this time at Bar Fedora and Saturday Night Jazz DTLA curated by Cathy Segal-Garcia. Here’s a little snippet of us rehearsing Blue Skies. 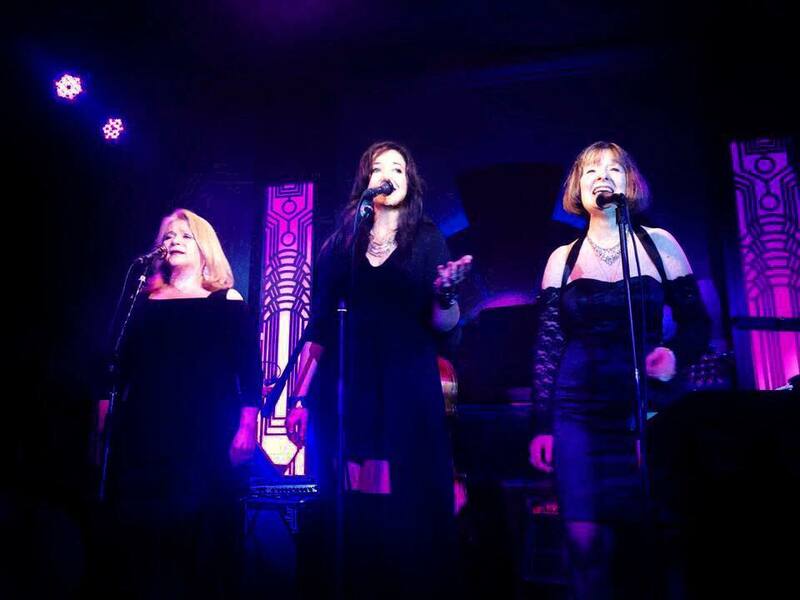 Having a natural leaning towards harmony and a lot of experience singing three part harmonies, it was so much fun working with these ladies and putting together our trio songs in the spirit of the Triad Sessions. Our killer band included Todd Hunter on keys, Kevin Winard on drums/percussion, Gabe Davis on Bass, Nolan Shaheed on Trumpet and Al Garcia on Guitar. There are plans afoot for another Triad Session later in the year. Stay tuned! While we are waiting on the videographer to provide the professional footage of the show, if you click the following link, you’ll be able to see a snippet of a song we did titled ‘We Three Ladies’ that I wrote especially for our show. Click here. Please use the contact page to get in touch, or message me on twitter / instagram / facebook. Thank you for your interest and keeping jazz alive!